From simple fillings to complete oral reconstruction, you can count on Dr. Adams to do it all! 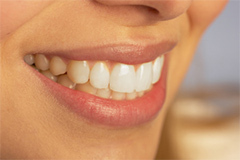 Hilltop Family Dentistry proudly offers quality restorative and cosmetic dentistry. Visit our clinic today! Cosmetic dentistry procedures will not only enhance your appearance but will also make you feel better. A better appearance will boost your confidence and correcting certain cosmetic issues can be beneficial to your health as well. This procedure will improve your smile and will also prevent future health issues down the line.